Another hot topic here at Kosmos is the sun. Living in south Florida the majority of us aware that we need to use sunscreen on our face and body before we go out into the sun. But strangely few people are aware that your skin isn’t the only part of you that needs protecting from the sun’s harsh UV rays. Every time you step outside into daylight, your hair will be at risk from the sun. The strength of the sun’s UV rays break down the keratin and melanin in the cuticle and cortex of your hair. As a result, your hair will gradually become weaker and drier. This effect although most agree looks great, gives us the light streaks in our hair but it’s actually the sun bleaching it. Continued exposure to the sun will make your hair lack moisture and suppleness, especially at the tips. In extreme cases of sun bleaching your hair will have a straw like texture and no shine. This does not mean you have to wear a hat every time you go down to Jupiter Beach but you need to be conscious of the effects of the sun’s rays and take precautions. By selecting good shampoos and conditioners with a UV shield is certainly a great start, ask your stylist to recommend one today! By using these UV protectors regularly your hair will build up a protective barrier, and over the course of time your hair’s natural texture and shine will be enhanced. Also remember wet hair is more fragile, so if you are planning to spend a lot of time down at Juno beach or by your pool, you need to take extra care. It is advisable that when you come out of the water, to rinse your hair with fresh water this will remove any chlorine or salt. Wet hair breaks more easily because the keratin is weakened, so towel dry your hair as well as your body. 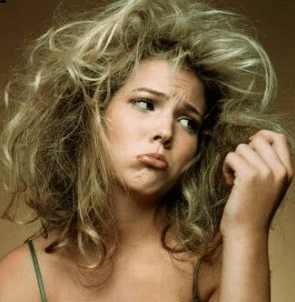 So remember, long term effects of the sun damage can be difficult and in extreme cases impossible to reverse and leaving your hair dry, brittle and lusterless, this not only looks unattractive but also makes your hair unruly and difficult to style. So if you really love your hair give it some protection with UV protection shampoos and conditioners, your Kosmos Hair stylist will tell you the best one for your hair type.